Turkey's Erdogan Slams Kosovo Criticism of Deportation of Gulen-Linked Turks - Integration Through Media ....! 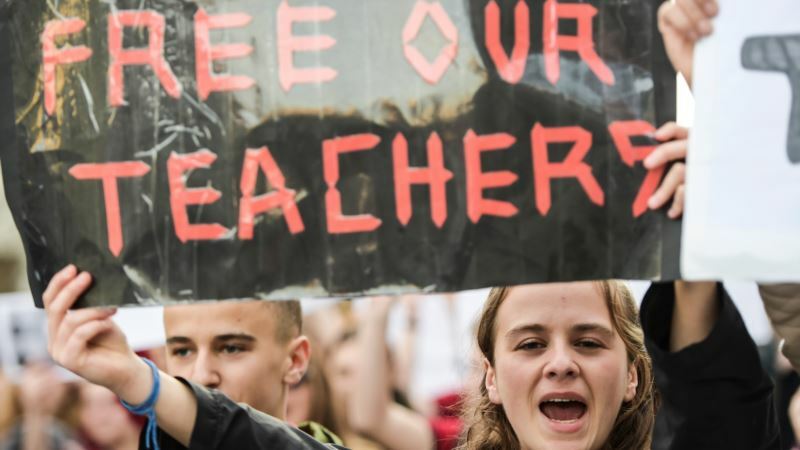 (VOA): Turkey's president has slammed Kosovo's prime minister for being critical of the arrest and deportation of six Turkish citizens with ties to schools linked to the Fethullah Gulen movement that Ankara blames for a failed 2016 coup. President Recep Tayyip Erdogan said on Saturday he was “saddened” and that Prime Minister Ramush Haradinaj would “pay” after he dismissed both his interior minister and his intelligence chief for deporting the six from Kosovo without his permission. Haradinaj, who said he was not informed about the operation, launched an investigation on Saturday “of all [state] structures that were involved in arresting and deporting” the six Turkish citizens. “My question to Kosovo's prime minister is: under whose instructions did you undertake such actions? Since when have you started to defend those who attempted a coup against Turkey?” Erdogan asked, noting Turkey was the second country in the world to recognize Kosovo after the United States. “How can you [defend] these people who attempted a coup against Kosovo's brother country — Turkey? You will answer for this!” he added. On Friday, Haradinaj dismissed his interior minister and the secret service chief after the arrest and expulsion of the six Turkish nationals a day earlier. Turkey said the six arrested on Thursday were allegedly responsible for recruiting into Gulen’s network and helping those in Turkey leave the country amid a security crackdown in which tens of thousands of people have either been fired or imprisoned for alleged ties to Gulen. Turkey is a major supporter of impoverished Kosovo, which declared independence from Serbia in 2008. Turkish firms run the tiny Balkan country's sole airport and electricity network and are building two highways worth around $2 billion. Ankara accuses Gulen, a Muslim cleric based in the United States, of masterminding a July 15, 2016, coup attempt and has declared his movement a terrorist operation. Gulen denies any link with the abortive putsch. Human Rights Watch has criticized the Kosovo authorities over the arrests. “In addition to the questionable arrests, the men were sent to a country where they face a serious risk of torture,” the watchdog said in a statement.